The SIGGRAPH 2018 conference has teamed up with FlyOver Canada to bring the community a Themed Entertainment Contest, inviting creators to develop content specific to the FlyOver Canada Theatre System. The system supports motion, mist, and wind effects. The contest winner will receive a complimentary Full Conference registration to SIGGRAPH 2018 and a prize pack, including a $10,000 USD cash prize plus airfare and hotel accommodations in Vancouver for three nights (not to exceed $5,000 USD). Best of all, the winner will have the opportunity to experience their exciting content in-person at an evening cocktail event. We sat down with 2018 Conference Chair Roy C. Anthony and FlyOver Canada’s General Manager Lisa Adams to find out more about the partnership. SIGGRAPH: What inspired the partnership between SIGGRAPH 2018 and FlyOver Canada? Roy C. Anthony (SIGGRAPH 2018): Our conference has always been the best place to see advances in technology, interaction, and production. Location-based entertainment, or themed entertainment if you prefer, is a sector where innovation and creative design exist within the entire design-build pipeline. Here, we see advances in unique methods of interaction, exciting non-standard display designs, and content production for custom experiences that show a lot of creativity and artistic expression. The attractions and rides experienced by the audience are unique, like a fingerprint. Our SIGGRAPH community represents some of the most creative content producers, interaction and experiential designers, new technology developers, and researchers. The alignment of what FlyOver Canada’s ride represents is harmonious with who our community is. 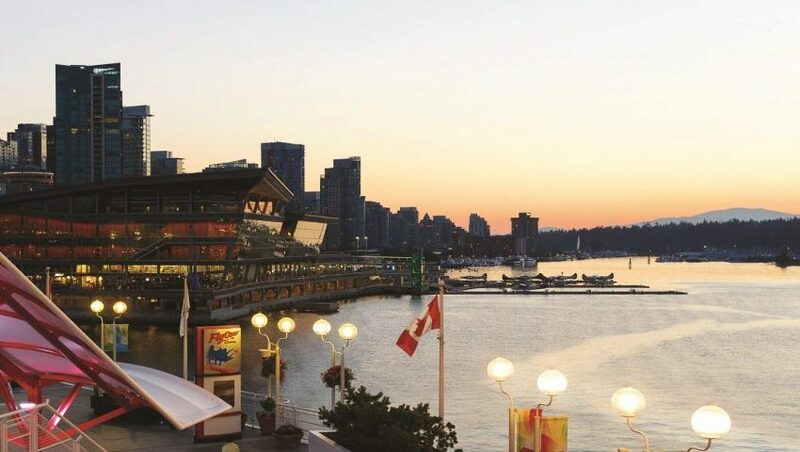 Since SIGGRAPH 2018 is co-located at Vancouver Convention Centre and Canada Place with FlyOver Canada, the opportunity to collaborate was almost meant to be. Lisa Adams (FlyOver Canada): We’re an innovative group of people and we’re constantly focusing on how we can create, or be part of, initiatives that could change the way we view our experience. In this instance, we know that our FlyOver ride films are incredibly well received and we aren’t changing course there. We do, however, also know that with the functionality that our ride system and dome screen projection offers, the options are endless as to what other concepts could be great in the environment. Therefore, we’re excited to be part of an initiative that is focused on developing future talent and inspiring new ideas and creativity. We’re super excited to see what contest entrants come up with, when all that limits them is their imagination. SIGGRAPH: Themed entertainment is a major industry that has not been heavily showcased at the SIGGRAPH Conference in recent years (outside of virtual or augmented reality experiences). What do you hope this contest does for the larger community of creators? RA: Themed entertainment benefits from an experiential component that is unique to the SIGGRAPH 2018-FlyOver Canada collaboration. SIGGRAPH has always included components relevant to themed entertainment within our conference content, from technology and research to examples of content production techniques applicable to this market. However, this is really the first time we have had access to a facility and participating partner which is enabling us to allow content creators to develop and experience their ride, as well as share it with others. In expanding our representation of Immersive and Interactive displays, I feel we more holistically capture the opportunities available to creators. Immersive technology is not only about singular experiences, and interaction is not limited to perspective tracking and hand interaction. By partnering with FlyOver Canada, we are opening the doors to a broader discussion than virtual reality. With its 60-foot diameter dome providing a wide horizontal and vertical field of view, and nine fully articulated vehicles seating multiple occupants, this is a visual experience like no other that has existed at SIGGRAPH. Each occupant not only experiences motion, and visual stimulus, but there is also air, temperature, mist, and a powerful acoustic reinforcement. At SIGGRAPH 2018 we can investigate the power of coupling a shared visual experience you can enjoy with friends, with sensory input for the audience beyond the rumblings of joysticks in-hand. My hope is this will inspire our community to engage in these investigations and discussions to help further the already impressive art and science behind themed entertainment that exists today. LA: Our ideal goal is to show the creative community that flying theatres are an interesting and emerging format that is rapidly growing around the world. There are over eight stand-alone themed entertainment flying theatres across the globe now, and these have all popped up in the past couple of years. The themed entertainment industry and general public have openly embraced this experience format, and the demand for new ideas and new content is only going to increase from here. We’re also passionate about developing future talent and we want to help educate creators on the “how to.” This is specifically related to the ability to create content that meets the technical specifications of the ride, while at the same time focuses on the overall immersive experience and themed entertainment aspect that will make a memorable impact. SIGGRAPH: Share a bit about the overall contest: Has FlyOver Canada done something like this before? What is unique about this opportunity for creators? LA: This is the very first time that FlyOver Canada has been part of a contest of this kind. The basic premise is that we’ve predetermined four different theme categories for creators to select from, and then sky’s the limit! We’re asking that each piece be approximately 3 to 4 minutes in length so that it has the potential to be programmable with our ride system — think moving seats, wind in your hair, mist in your face. Along the way, we’re aiming to provide access to webinars that give the creators freedom to ask our experts questions and receive hints and tips. We feel that providing access to experts in themed-entertainment ride content and programming creation are key to facilitating the development and education of future flying theatre content creators. From there, the panel of judges will whittle entries down to the top 4, and we will start preparing to showcase the pieces during an exclusive cocktail event at the conference in August. SIGGRAPH: There are four categories for theme requirements: Halloween/Nightmare, Flight, Chinese New Year, and Generations. Can you share more about these categories? LA: Each of these categories offer creators room to use their imagination. We didn’t want to be too specific and limit the creative process. Given that SIGGRAPH 2018’s theme is Generations, it makes absolute sense for that to be one of our categories. It’s also one that can really be interpreted in many ways, i.e., generations within a family, or a representation of one entire generation, Gen Y, Millennials, and the list goes on. The same goes for the Flight category. I can see creators taking this anywhere from the flight on the back of a ladybug, to hang gliding, and more. Halloween/Nightmare and Chinese New Year are also somewhat centered around events and celebrations within our community, yet still offer vast opportunity for creative juices to flow. One of the popular experiences at FlyOver Canada is called Flight of the Dragon, which is a flying ride that follows the path of a mythical dragon through China. Guests just love it! There’s a sense of adventure and mystery, overlaid with the beauty of China’s diverse landscapes. SIGGRAPH: In 280 characters or less, convince someone to enter the contest. Registration for the contest is open through 7 March 2018. Enter today.